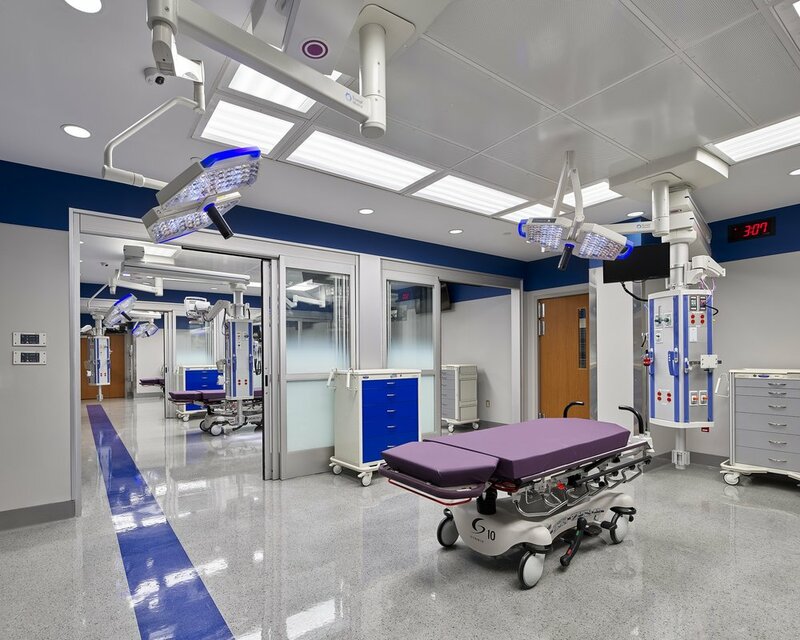 With an evolving landscape of consumer-based patients, “retail” healthcare providers and portable technology, we are experiencing a new generation of Emergency Department design. Gone are the days of crowded waiting rooms, long wait times and institutional surroundings. DCC was engaged to work on a 56,000 sq.ft. Expansion and renovation of Robert Wood Johnson University Hospital Barnabas Health New Brunswick campus, which is a level 1 Trauma Center, that will double the size of its existing emergency department and provide a new, efficient, consumer-focused experience in receiving emergency care. The project includes a rapid evaluation triage approach, Care Initiation Area, 54-bed ED Proper, Pediatric ED services, Resuscitation, Imaging and Behavioral Health Unit.